Studying abroad is an amazing opportunity for your student to learn more about themselves and the world than they ever could in a classroom. Around the country and at IUPUI, more and more students are studying abroad to gain skills and experiences that prepare them for what's next. Studying abroad is becoming an essential part of the college experience. Our programs provide students with applicable job skills such as independence, communication, and adaptability to name a few. While abroad, students are able to have experiences that would not be available to them in their home country which allows them to see the world in a different light. These skills and experiences are looked on favorably by employers when students go into the job market. Parents can play an important role in study abroad. Families can all grow and learn from a student's experience abroad. We know the process can be stressful and we are here with resources and to answer your questions. Students should RSVP to a pre-departure session. Parents-encourage your students to attend a meeting. During the discussion, they will receive information about packing, safety abroad, and other traveling tips! Parents (with student) should explore the country your student is planning to study in. Becoming familiar with the culture and customs of a country can be a great way for you and your student to prepare for the trip beforehand. Students should seek an advisor during our walk-in hours! Everyone in our office has had experience abroad in multiple countries and on different types of programs! Parents-this is a great way for your student to ask all the questions they have about the different aspects of studying abroad. Feel free to contact us as well whether by phone, email, or in person! Students should examine their financial aid package and reach out to the Financial Aid office for additional monetary support. Also, explore scholarships. Parents-if you are the one filling out your student's FAFSA form, it is important to see how it can decrease the costs of a study abroad program and make the experience affordable. Most aid has different requirements. Students should apply for a passport and/or visa. Parents-ensure your student has applied. It is important that travelers apply for a passport and/or visa well in advance of departure. We encourage family members to have current passports while a student is traveling too. Parents (with student) should review the available social media and communication platforms to continue communication while abroad. Facebook and similar sites allow you to see the adventures and experiences that your student is having with photos and status updates! Skype and other apps can allow for easy and free ways to communicate depending on the country your student is traveling. Discuss with your student how often and in what ways you plan to stay in touch while they are studying abroad. However, it is important that parents understand that due to the program requirements and/or location, students will not be able to constantly check in. It is important that students are able to take full advantage of their experience. Students (with Parents, if necessary) should contact their bank to notify them of travel plans. It is important that the bank and/or credit card company know about the planned travel so that transactions are not interrupted. Also, banks may charge certain fees when using your credit cards abroad; it’s important to know what these will be before travel. Parents can learn about other students’ experiences through our student profiles. Read about their initial impressions, the coursework, and future career plans. Also check out our Photo Contest page to get a visual insight on the programs! For emergencies out of IUPUI's control, most students participating in an IUPUI study abroad program will have GeoBlue health insurance. GeoBlue is a comprehensive safety and medical insurance plan set in place to cover students in case of an emergency. 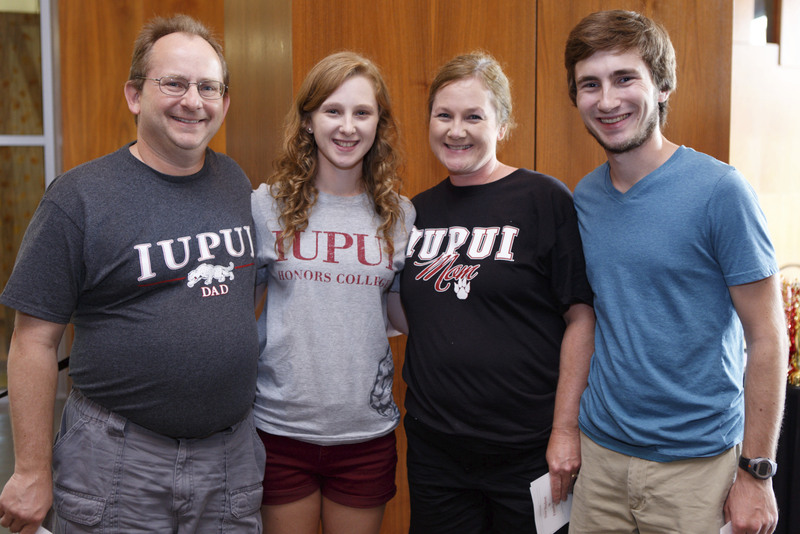 If you would like details about the plan, please contact us at abroad@iupui.edu or (317) 274-2081. After traveling abroad, students can expect to have gained a perspective different from the one they had before. Be prepared for your student to share their experiences and simply lend an ear. You never know, the next travel abroad trip may include you! Many students who come back from a study abroad trip must prepare for their re-entry back home. While studying abroad in a foreign country alone is an adjustment, so is coming back to a culture, and language that you thought you knew. Read the Council on International Educational Exchange (CIEE's) and the Institute for the International Education of Students (IES's) brochures for more info about re-entry! If you are interested in providing a testimonial about your experience sending your student abroad, please feel free to contact us! There are many parents just like you who are going through or will go through the experience of sending their student abroad.